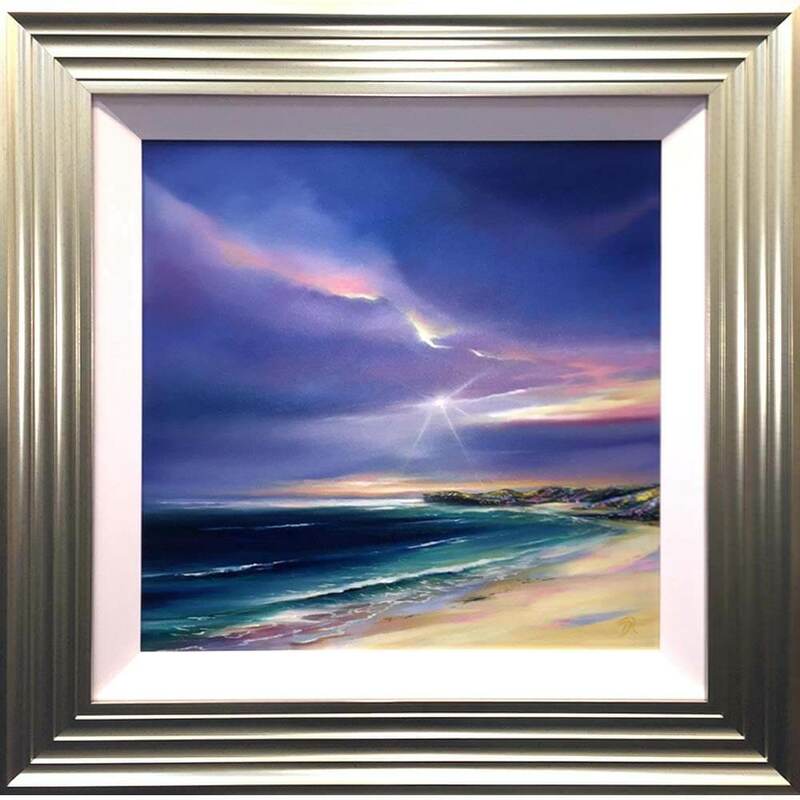 These lively, energetic & expressive Scottish landscape oil painting will be sure to brighten up your interior! 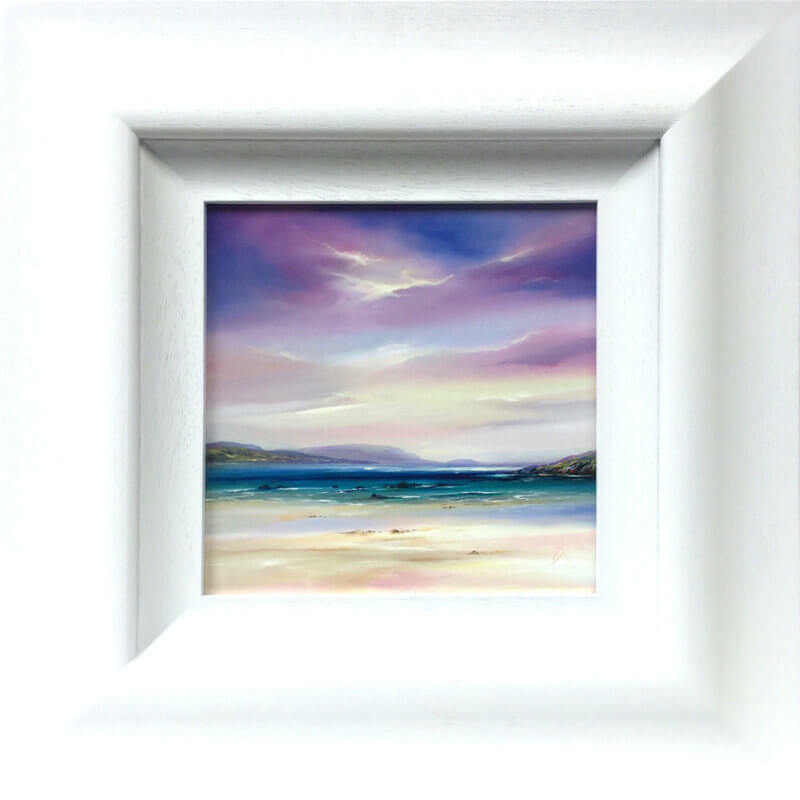 Douglas gained a BA (Hons) followed by a Master of Fine Art at Duncan of Jordanstone College of Art in 2008, where he studied the work of 19th Century Romantic artists who first portrayed the picturesque scenery of areas like Glencoe and Loch Katrine. He is inspired by Scottish highland myths and legends and portrays them using oils, acrylics and charcoal, capturing the intensity and majesty of the landscape and frequently uses imaginary techniques. This is achieved by highlighting, over exaggerating rock faces and creating piercing light rays through breaking clouds, reflection and focusing on the tranquillity of distant springs and lochs. Mankind or human creations rarely feature in his work as it is the awe of nature, and the spirit of the sublime that he loves to explore. In 2013, Douglas gained a PDGE in Art and Design and is now an Art and Design teacher in the East of Scotland. His recent works concentrate on the use of vivid colours to represent the vibrant diversity of the Scottish landscape while focusing on the changing weather of Scotland, creating turbulent skies and wild waters. Douglas will be taking part in this years Penguin Parade and will be helping to raise funds for the Maggies Center in Dundee.. This entry was posted in Meet The Artist, News. Bookmark the permalink.